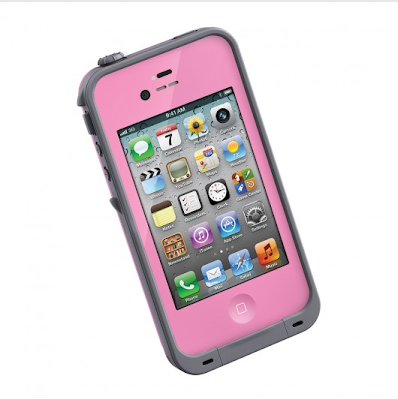 The background story behind my amazing Lifeproof iPhone Case is rather, well...embarrassing :). I purchased this pretty little case after I dropped my iPhone in the.....wait for it.....toilet. Yes, you read that right.... the toilet. After retrieving my iPhone and drying it off, it magically still worked. That was when I knew I needed a case that would protect it no matter the conditions it finds itself (I ALWAYS manage to drop my phone. Although it WAS the first time it's found its way into the toilet! ha!). I was originally thinking of an Otter Box, but when I went into Mac Authority they recommended a Life Proof case because it was much thinner, lighter, and was WATER proof (aka toilet proof) and SHOCK proof (aka ASHLEY proof). I couldn't be happier with this case! I mean seriously....I can text or answer important phone calls IN THE SHOWER. And not to mention how AWESOME this case will be next summer at the beach! This would be a great gift for anyone with an iPhone who may just be as clumsy as me :) They are also available for the iPhone 5 now! Check these cases out HERE!!! I bought a lime green scarf I wore on Thanksgiving from Forever 21 for under $10 and I just LOVE it. 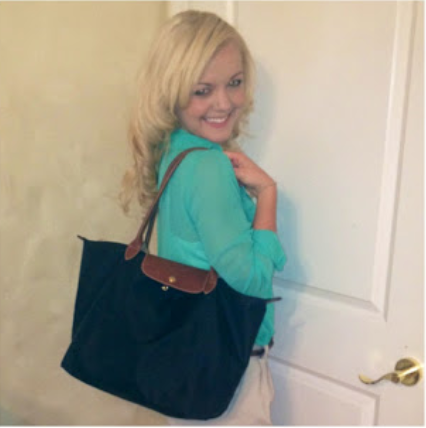 It's so cozy, warm and adds an instant pop of color to any ensemble (also available in pink, coral, blue, and black). This would make such a perfect gift for any special lady on your list at a very reasonable price! 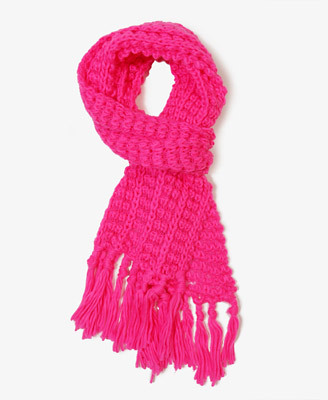 Check out my favorite F21 scarf online HERE! 5. Marc Nelson Denim T-Shirt: $35-$50. Check out MND women's shirts HERE! If you remember my Christmas recap post from last year HERE, my Nana got me a Clarisonic Mia brush which I absolutely have LOVED ever since I got it a year ago. 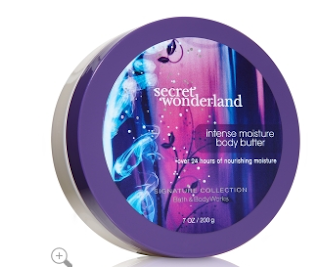 It is perfect for deep-cleaning and removing ALL of my makeup. It also makes my face supaaa smooth. Before I bought both the Naked 1 and 2 eye palettes this past February (read about that experience HERE), I was always in search of different eyeshadows and would use many different kinds. However, 10 months later and I am STILL hooked on these eye palettes! 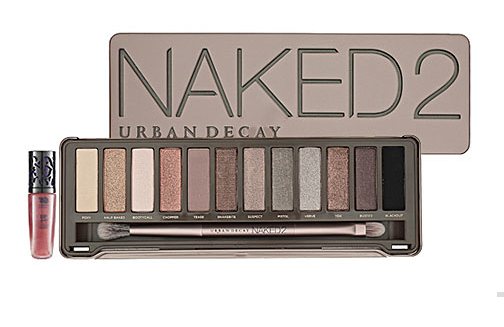 If you only get one, I find myself using Naked 2 Eye Palette the most. I absolutely LOVE the shades for EVERY occasion: day and night. They help you create the PERFECT smokey eye! Ahhhh in love! 8. Crafts & Love Jewelry: Range in Prices! Check out Crafts and Love's Jewelry Etsy store HERE! Check out the Le Pliage line HERE! Finally, a Favorite Things List from this makeup, clothes and NAIL POLISH obsessed girl would NOT be complete without featuring my favorite nail polish collection of 2012. While there were MANY nail polishes I tried all year long, my favorite was released this by OPI this holiday season: the James Bond Collection. The shades were stunning and had a little something for everyone (and to last you the whole holiday). Be sure to read my post about it HERE! Thank you SO much as always for reading, dolls!! Great choices! I think some of these things are going to make it to my list as well. Thanks for stopping by and commenting girl! :) XOXO! Loving that white sweater! Super cute! 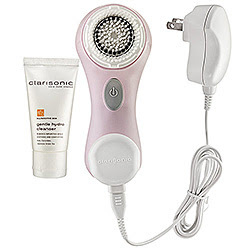 Gotta have a Clarisonic! I love my Mia! Hey! Thanks so much for the sweet comment on my blog and for following! I am following your lovely blog back on GFC, Bloglovin, and Twitter! I love your style and I look forward to keeping in touch. These are some great pics! i would not mind having one of each lol! Everytime i see pitures of you i cant help but think shes so cute lol! love the blonde hair! !